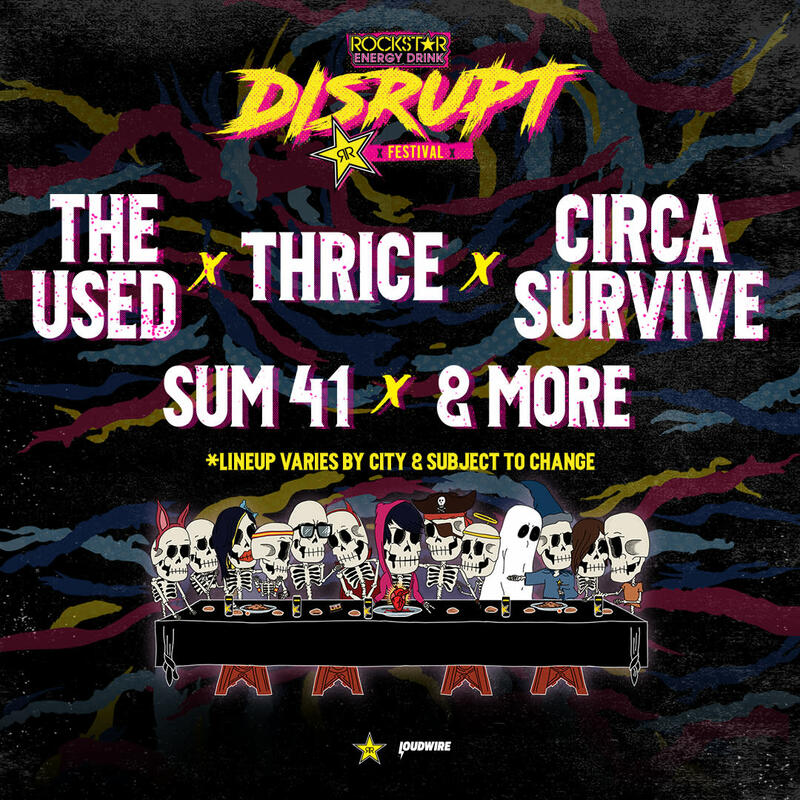 Featuring some of the biggest bands in rock as well as the genre's rising stars, The Rockstar Energy Drink DISRUPT Festival is a brand-new music experience making its debut across North America this summer. The touring festival will feature unique line-ups in each city, with performances varying from artists including The Used, Thrice, Circa Survive, Sum 41, The Story So Far, Atreyu, Sleeping With Sirens, Andy Black, Four Year Strong, Memphis May Fire, Trophy Eyes, Meg & Dia, Juliet Simms and Hyro The Hero. The tour will make a stop at Ruoff Home Mortgage Music Center located in Noblesville, Indiana on Sunday, July 14, 2019, as part of the Coors Light Concert Series. 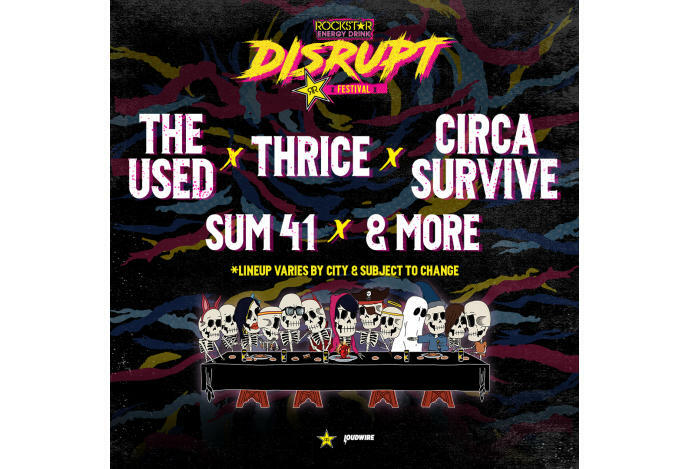 Please visit rockstardisrupt.com for full line-up details by city.